It’s wet wet wet at my place today. This is the view outside my writing room window. I do love this weather. There’s no wind (I hate wind) and the rain is steady and gentle and very very persistent! Great for the garden. I’m working on my Butterfly House book, trying to incorporate my Escape Publishing editor’s feedback. I have too many point of views (story of my life!) As usual, that objective editorial eye helps bring out the best in my writing and I know this new version, and the further stories I plan for Butterfly House, will be better for it. In a break I’ve also been gardening, throwing fertiliser around. My hubby is convinced the best fertiliser for natives is blood and bone. (He read it in a book somewhere). I’ve been very careful with fertiliser on our natives because even though I followed the instructions, I know I overdid it last year. Nothing here has been fertilised since September… so if everything curls up and carks it… you know who will be in the firing line for these blood & bone suggestions! Whatever you’re up to this weekend, I hope you’re enjoying the day. I’ve been quiet on the blog, but I’ve had very good reason. You see, we’ve been moving house. Our new house in Margaret River that we’ve been building since November 2013 is now finished… and I LOVE IT! 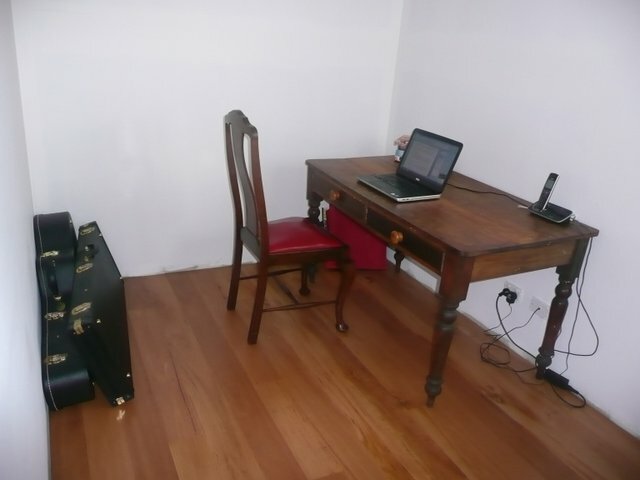 The most wonderful thing about my new house (besides the Eastern Blackbutt floor which is just the best) is my new writing room. Yes! 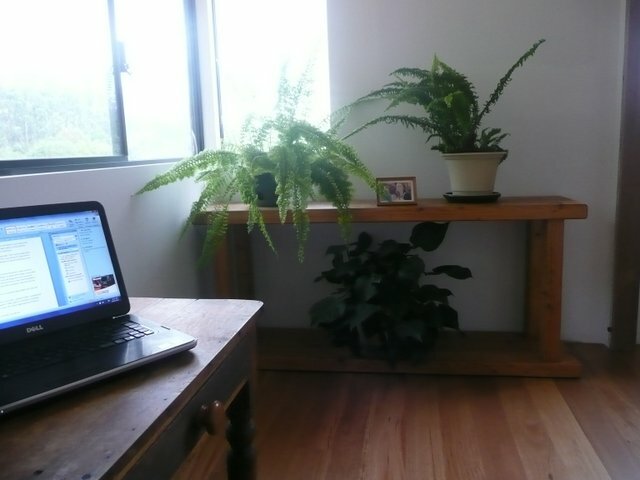 After about 5 years, I have dedicated writing space that is not a couch, nor a chair in a corner, nor the kitchen table, nor a bench outside, nor my lap, nor my bed. 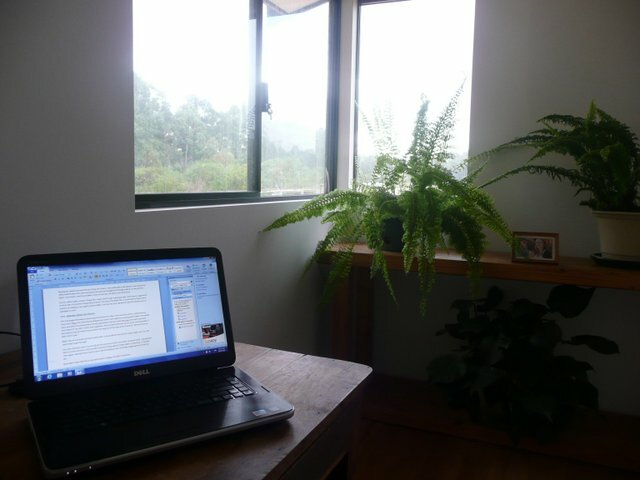 A writing room. With an honest to goodness desk and my laptop. I even have a view! And it will be a nicer view when I have cleaned the windows. (Or hired a minion to clean the windows). And I have plants! Thanks mum! One day I will also have paintings, and non-white walls. I’m thinking some kind of creative, relaxing green. Any suggestions on what colour I should paint my writing room for maximum recharge and creativity? Now, I just have to get writing again! Today is a perfect day. It’s raining and there’s even been thunder, but it is so very still outside, it is magic. It’s like the whole world here (including the frogs in the nearby creek) are all waiting for me to sit down, and just do it! Posted on July 19, 2014 Categories NewsTags house building, Lily Malone, Lily's writing room12 Comments on Lily’s new writing room!